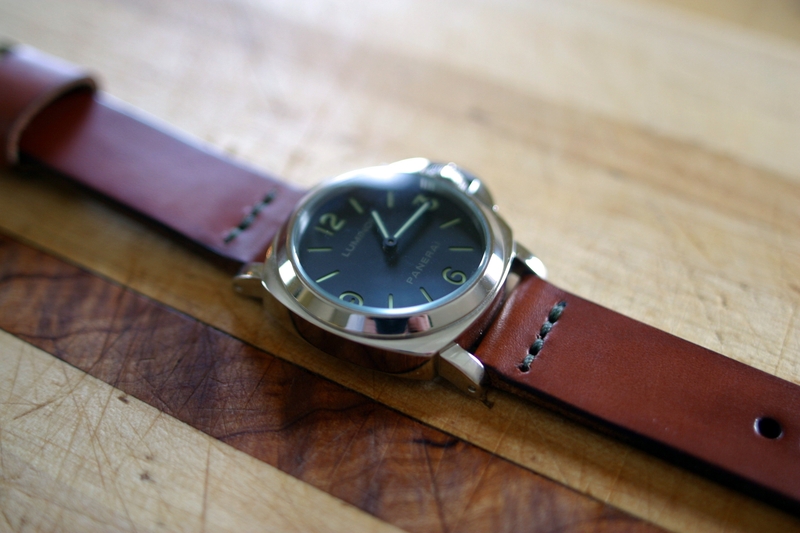 MOVEMENT: Hand-wound mechanical. ETA 6497. Swan’s neck regulator. CASE: Diameter 44 mm, polished stainless steel with brushed steel crown protector. CASE BACK: See-through sapphire crystal. 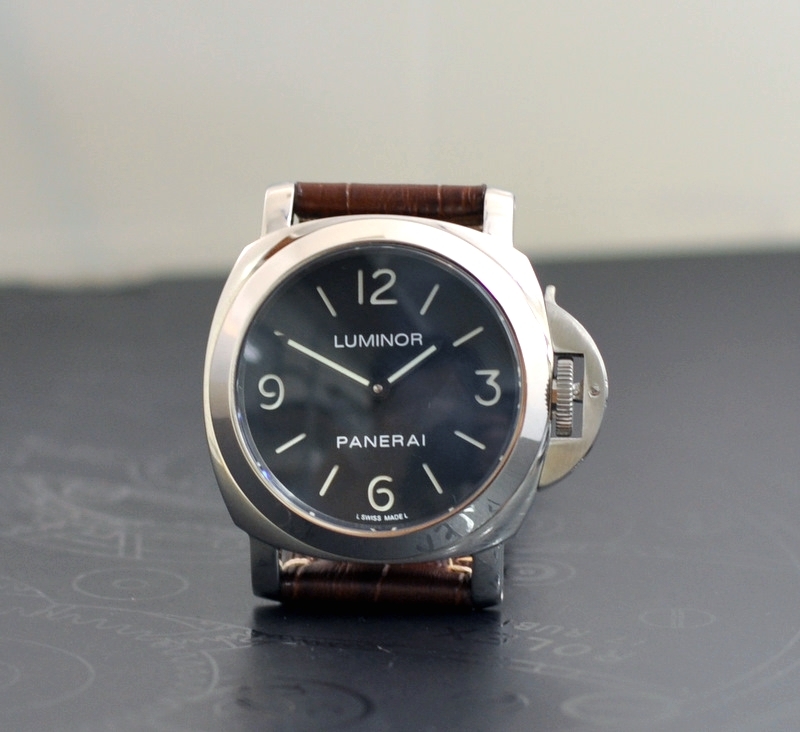 DIAL: Black with luminous Arabic numerals and markers. WATER-RESISTANCE: 30 bar / 300 meters / 1,000 feet. STRAP: Custom Greg Stevens Designs (GSD) Horween Whiskey leather strap with historic stitch pattern in olive green, 24mm x 24mm width, 140mm x 90mm length, 4mm thick, single wide floating keeper with stitched back, 24mm Pre V style buckle in polished finish. STORY: Received as a Christmas gift from my wife (then girlfriend) on 2010-12-25.